The Miami FC will return to NPSL action in 2019 as National Champions. The Orange and Blue captured the Sunshine Conference, South Region and National trophies in an unprecedented debut season. Miami faced stiff competition in the Sunshine Conference, as Jacksonville Armada FC and Miami United FC trailed the Orange and Blue in the standings by three and four points, respectively. The conference will field six teams for 2019, but the competition will be fierce once again for the reigning champions. A former NASL foe from the 2016 and 2017 seasons, Miami and Jacksonville's history goes back a while. Miami didn't have the same type of success against Jacksonville that they did during the NASL days, as Jacksonville was hungry to get its first-ever win versus the Orange and Blue in 2018. They did so at home and tied against Miami on the road. Jacksonville finished second in the Sunshine Conference and reached the Conference Final, where they fell to The Miami FC, 3-1. The Armada went on a decent run in the 2018 U.S. Open Cup, reaching the Third Round after three victories and falling to fellow NPSL side Miami United FC before being able to advance any further. Former Armada player Aaron Pitchkolan will direct the team from the touchline in 2019. The conference leader for much of the early part of the 2018 season, Miami United fell behind The Miami FC and Jacksonville Armada FC in the latter half of the year and finished third in the conference. They fell in the Conference Semifinal to Jacksonville, but they owned the second-best goal differential in the conference and lost just once in 12 matches. Outstanding campaigns from David Ochoa and Tomas Granitto helped Miami United embark on an impressive run in the U.S. Open Cup, where they reached the Fourth Round but ultimately fell to MLS side Orlando City SC. In 2019, the team will feature a solid piece of their core from last year, including Ochoa, standout defender Elusma Pierre and impressive goalkeeper Occennat Peterson. 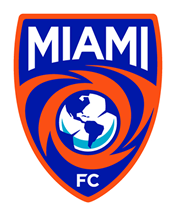 Now under the direction of Italian head coach Ferdinando De Matthaeis, Miami United will look to supplant The Miami FC at the top of the Sunshine Conference and make another deep run in the Open Cup. They will hope that Ted Hendricks Stadium at Milander Park will continue to be the fortress it was last season and during this preseason, when they took on legendary Urguayan side Peñarol and tied 2-2. Naples United was a tough outing for just about every Sunshine Conference squad in 2018, using a disciplined defense to hold opponents to just 15 goals throughout the season. While they struggled to score goals, a 16-point season and a positive goal differential is something to build on going forward. With four wins at home, including a standout victory against Jacksonville and a 5-0 dismantling of Boca Raton FC, Naples will continue to be a tough place to play for any opponent in 2019 under Vicente Sandoval's watch. After a brief hiatus in 2017, Storm FC returned to NPSL action in 2018, but the return certainly didn't go as planned. Storm struggled for much of the season and was able to salvage points in just one match all year. Boasting an array of talented but young players, Storm will hope that its youthful nucleus can grow together and improve on the field. Storm FC will once again call the famed Central Broward Stadium at Central Broward Regional Park home for the 2019 season. A newcomer to the NPSL, the Central Florida Panthers will hope to make a lasting impression in their debut season. The club will be affiliated with the Central Florida Soccer League, an organization that includes 3,000 adult players. The Panthers will play their home matches at Showalter Stadium, on the campus of Winter Park High School. Anton Faith will assume the role of head coach for the Panthers' inaugural season in 2019. Faith has over 14 years of experience coaching within the soccer world, including having been a Youth Coach at Chelsea FC, Southampton FC and Salisburg City, as well as the Director of Coaching for Orlando City SC and the Executive Director at Soccer Shots.